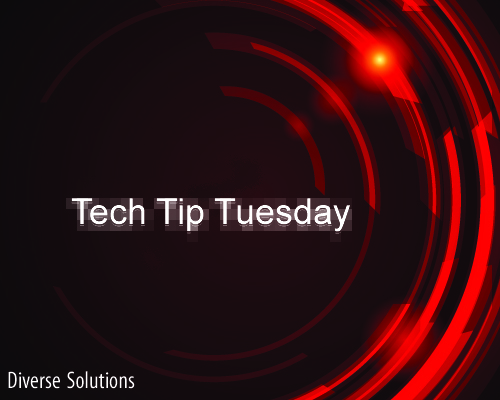 This is the first in our new Tech Tip Tuesday Series. Each week (hopefully), we’ll be sharing a new technology or marketing tip to help you jumpstart your marketing and grow your businesss. Subscribe now to get future Tech Tips and marketing articles. You live and you die by your database. Ask any seasoned REALTOR® and they’ll say the same. So while you’re working hard to publish new content and drive traffic to your site, what are you doing to keep people there? What are you doing to get them to register? When you land on the site for the first time, you have a custom contact popup form that appears inviting you to register to receive newsletter updates. You can do this to have people opt-in to your weekly newsletter where you send them property updates, marketing updates, mortgage rate updates and more. The great thing about the form is that it’s completely customizable. And yes, the plugin is compatible up to WordPress version 3.0.4. Is something like this useful to you? How might you use the modal dialog plugin to encourage people to register to your site and receive email updates? I’m not a big fan of popping things into users faces on first contact but I like the form idea. I’d like to see a more subtle approach to getting to the form–which is a cool way to make contact. Great plugin! I’m really liking all the recent blog posts. Keep it up! I like this plugin however can you trigger it to popup after a specified number of pages have been accessed on the blog? @ecmClint: The neat thing is, it only popups once upon the users first visit and not every time you navigate to a different page (which I don’t like). It’s a bit more subtle that way and that I can deal with if the content is compelling enough. Some people shove that popup form in your face each time you refresh and navigate somewhere else on the site, that I don’t like at all. In either case, thanks for the comment. @PhoenixHomes: Thanks! Will do. If you implement it, would love to see a link to your page. @Ben: I’m not sure. If you use something like Aweber, you can do something similar using a lightbox form. I know that you can adjust the settings there. I would never use this. If I’m a first time visitor to your website, why on earth would I want to sign up for your newsletter before I even look at what you and your site is about? You could test this by looking at your current bounce rate and watch it go through the roof after you install this. And to have it pop up later…now you’re saying I have provided you with some great stuff and you must be ready to sign up for my newsletter. Even better would be to request a sign up when the visitor is leaving. I picture the guy at the car dealership who just decided to leave because he didn’t find what he was looking for. When he’s about 10 feet out the door, the salesman comes running out after him begging “wait, wait I have a really good deal for you.” Nothing like a good dose of desperation to try and get something. We need to provide our visitors with valuable content that is answering the questions that keep them up at night. When you can provide that to your visitors, they’ll want to sign up for your newsletter. You won’t have to beg them and use a forced technique. After every post you write, have a link to a landing page with content about the benefits of signing up for your newsletter. And if you tell them it’s a weekly newsletter, then you better have a weekly newsletter that goes out on a specified day. Don’t get their email address and send them crap at random times, unless you want them to unsubscribe. If someone has a success story of a subscriber that came through a pop-up and turned into a client, I would love to hear it. Until then, I’ll stick to what I know has worked for my internet visitors that have turned into clients. Provide them with the information they are looking for in a way that is easy for them to find and understand. They will contact you because they want to HIRE you to represent them. Not because you forced them to sign up for your newsletter with a pop-up. We have to prove to our visitors, FIRST, that we have something valuable to provide. Then they are willing to provide an email address to receive our awesome, valuable content. They will not sign up to your newsletter first and figure out later that they have no interest in what you’re sending them. Most people get enough spam and junk in their in-boxes already. Leave the pop-up forms for the yellow-highlighted, get rich quick, sales page guy. Todd: There’s two schools of thought on this 1.) thinks it’s a great way to increase subscribers, 2.) it’s too “in your face.” Ultimately, I suppose, to each their own. If I find a specific real estate example, I’ll share the results with you. Though I do know that Home Ownership University (Scott) has had some great success building his database and converting clients. Regarding pop-up forms in general, I don’t usually like them especially when they pop-up on every single page and after every single refresh. More over, I’ve seen forms with no “close out” option. This is bad form in my opinion. The neat thing about this one is it only appears once. Will some people find it annoying? Of course. But will it convert? It depends on the compelling offer but I wouldn’t doubt that it would. Thanks for the comment/feedback Todd! I’m a big fan of Problogger and I find the link in your reply very interesting. Thanks for sharing that! As you mentioned…to each their own. I’m definitely from the it’s too “in your face” side and I guess because I don’t like it means I’m not going to do it to my visitors. 1. The Problogger post is more than two years old and I believe things have changed drastically since then. I’m pretty sure they don’t use a pop-up on the site anymore. 2. If you’re using a pop-up, be sure and test it on your phone so that its mobile-friendly or you could be losing a lot of visitors and sign-ups. Your website is mobile-friendly, right? I agree with both points, I think a pop up could work depending on the site you are marketing, nowadays most smart guys in real estate internet marketing hopefully have different site for diffrerent reasons. Some people hate telemarketing then you have people that do very very well telemarketing, you have to find what gets you the results you need…. Being agressive aint bad because trust me people will find a reason not to buy at times even if you have no popup, if the offer is compelling, people won’t mind a popup and for those that do find it annoying: “NEXT”! You really cannot hang your head on this stuff. A lot of guys, treams, gurus and people are just making comments. Find your middle ground in your marketing. A lot of people have told me many things that would not work, guess what? They all worked, do what you feel and rock it regardless!